The Samsung Galaxy S8 and S8 Plus has been launched finally, After much anticipation, Samsung has release the beautiful beast smartphone. Samsung's latest smartphones come with superb features that will wow every Android lovers. 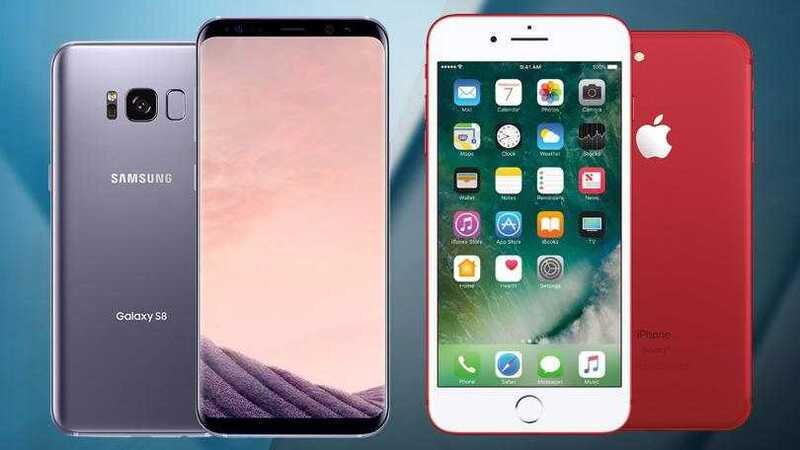 The new Galaxy S8 and S8 Plus features has begin to make waves which prompt iPhone fans wanting to know the reason to switch to the Android to enjoy this impressive features. In this article, we will be sharing 5 best thing the Samsung galaxy S8 can do that iPhone can't do. When it comes to charging smartphones, we all know that iPhone can be slow when charging. When compared, The Samsung Galaxy S8 feature a USB-C fast charging technology which are way faster than the Apple's Lightening connector. Until Apple introduces the Fast charging technology, it a win for the Samsung Galaxy S8. Well, as we all know that the new Apple's devices doesn't support this feature anymore, because has remove this feature and replaced it with the wireless headphones. The Samsung Galaxy S8 and S8 Plus support the headphone jack, with this, you don't need any external wireless headphones. Right from time, Apple device doesn't have room for external storage system, Hence, it's either you go for the 32GB, 128GB, or 256GB when you want to buy an phone. But not only does the new Samsung Galaxy S8 supports internal storage of 64 GB, It also give room for external storage memory up to 256GB. Better screen is a new feature from Samsung. You can set the screen resolution of Samsung Galaxy S8. The Samsung Galaxy S8 and S8 Plus comes with Quad HD definition while iPhone 7 Plus has 1080p definition. When you compare the iPhone screen, the Galaxy S8 screen is more taller because of the removal of the home button on the S8. This is my favorite, The Iris and Facial scanner is a unique technology that Samsung introduces to the death Samsung Galaxy Note 7 before it recall. But the good news is that Samsung has put this feature on it latest devices, the Samsung Galaxy S8 and S8 Plus. While iPhone only has the Touch ID feature that can also be found on the Galaxy S8. These are the Top 5 things the Samsung Galaxy S8 and S8 Plus can do that the iPhone can’t. Do we miss anything? use the comment box below and if you like the article, don't forget to share with your friends.